Abstract: Konarka Technologies Inc. has developed a photovoltaic technology using semiconductors comprised of nanometer thin, carbon based organic polymers. These polymers are converted into fluids (inks) and coated onto a thin, flexible plastic web. The manufacturing technology is a continuous, high-speed, roll-to-roll process. Organic Photovoltaics (OPV) have the unique properties of being light-weight, flexible, semi-transparent, and with the capability of being manufactured in several colors. There are further advantages of easy customization of panel size and voltage. This presentation will describe the structure of OPV and its electrical characteristics. The production process and key manufacturing capabilities will be highlighted. Finally, OPV applications will be explored through the examination of some unique customers’ products. 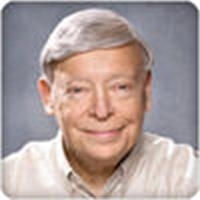 Biography: Dr. Spitzer has over 45 years of Semiconductor Research & Development experience in Microelectronics, 33 of which are in technology management. He was first employed by NASA, developing hi-reliability microelectronics in support of manned space-flight missions. Thereafter, he worked at Bell Labs as a researcher on III-V semiconductor opto-electronic devices and on the development of CMOS technology. He then started the VLSI Center at ITT, a state-of-the-art, sub-micron design rule, integrated circuit facility, with responsibility for developing the strategic plan linking the VLSI Center’s roadmap with ITT's telecommunication needs. Dr. Spitzer joined Polaroid with the task of creating the Microelectronics Laboratory, enabling Polaroid’s successful entry into the electronic imaging business by developing solid state lasers, LED’s and CCD image sensors. He joined startup Coatue Corporation as the VP of Engineering, working in the nano-technology area to develop polymer microelectronics. Based on its conductive polymer, non-volatile memory technology, Coatue was acquired by AMD and became part of Spansion, LLC, and Dr. Spitzer headed Spansion’s Boston Research Labs. Dr. Spitzer currently leads product development of organic and polymeric photovoltaic technology at Konarka, he holds the BS, MS and Ph.D. in Electrical Engineering and Materials Science from MIT, and is the author of numerous technical articles and patents, and has many professional affiliations.